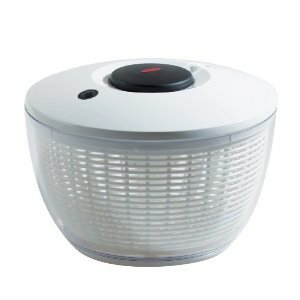 Got the mid-summer doldrums? Kids complaining about being bored? Here’s a solution: Get them busy in the kitchen. That’ll teach ’em. Oh, and maybe they’ll have fun and sample something healthy too. 1. Husk corn: Buy a load of corn for dinner, from the farm market if possible. 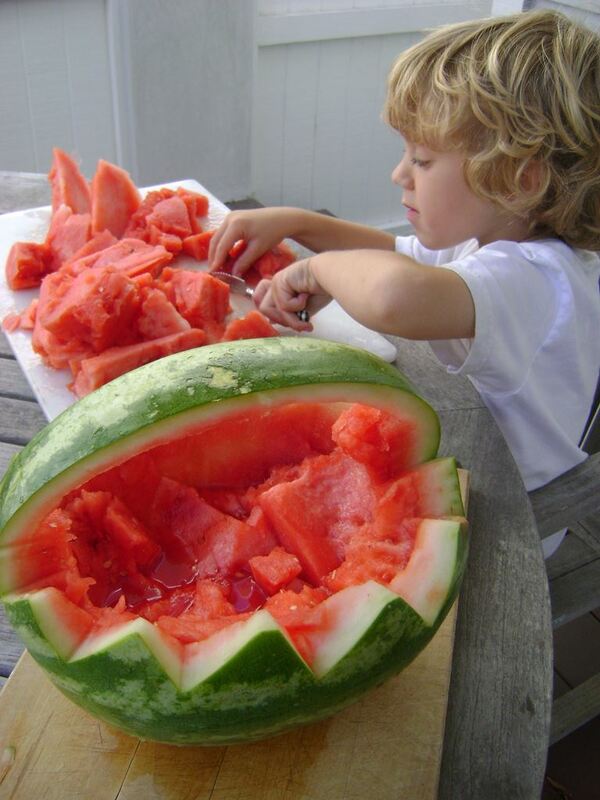 Station your kids in the kitchen, or even better, in the back yard, with a big bag to hold the husks. Then have them peel away. 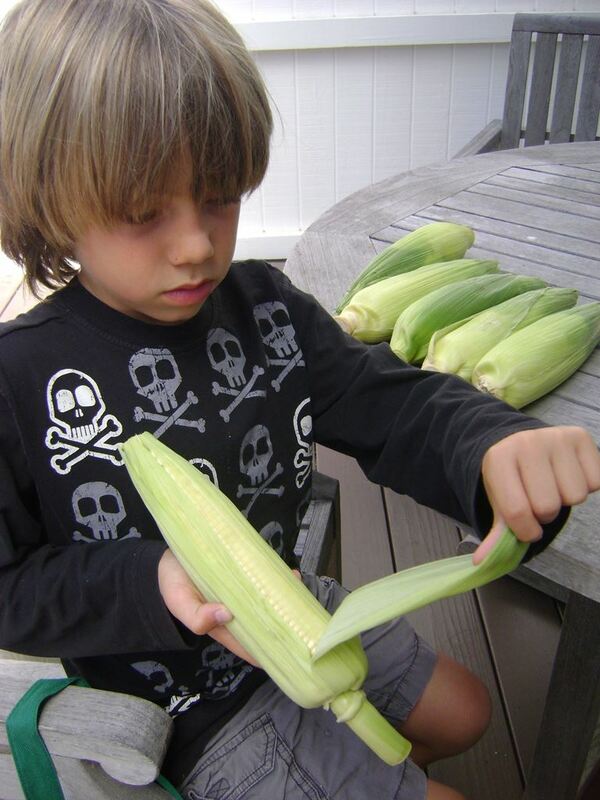 Bonus time-consumer: Tell them you don’t want to see a single strand of corn silk left – This should add at least 15 more minutes to the job. 2. Pit Cherries: Got a big basket of cherries? Give your kids a hand-held cherry pitter and set them up in a place where you won’t care about cherry juice splatters. Outside is best, but the kitchen sink will do too. 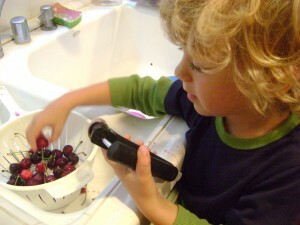 If you have two kids and two cherry pitters, see who can pit the most in five minutes. 3. Spin Salad: Got lettuce at the farm market? Got herbs in your garden? You’re going to have some mighty tasty salads this summer, but someone’s going to need to clean them. Put your kids in charge of washing the lettuce leaves, spinning them in a salad spinner, and then tearing them into bite-sized pieces. Who knows, they may sample some along the way. 5. 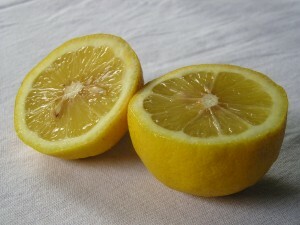 Squeeze lemons: You never know when you’re going to want a big batch of lemonade. And for that matter, you could always use some extra lemon juice to drizzle over cut fruit or grilled vegetables – or your nicely washed salad. If your kid needs something to do, hand him a big stack of lemons (cut in half) and have him squeeze away using the lemon juicer. Now who’s going to complain about being bored?